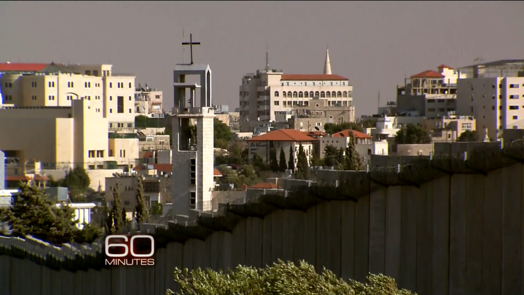 Governments’ manipulation and influence of the press is nothing new, but why would the Israeli government, an administration considered a friend by many Christians, regarded this programme as a “potential strategic terrorist attack”, and went out of its way to interfere with a show which aimed to expose the difficulties faced by the local Christians? To that end, it’s preferable that people aren’t aware of the existence of the Palestinian people who have been unjustly dispossessed by the State of Israel. Failing that, to portray the Palestinian people as backward, stubborn, warmongers, terrorists, the Canaanites of old, haters of democracy and Christianity. Consequently, the mere mentioning of Palestinian Christians (or Arab Christians) is already a significant attack on the public image of the State of Israel among the Christian community—first, it acknowledges the existence of the Palestinian people, second, it challenges their stereotype. Therefore, the main issue of this show with the Israeli authorities was that, it let the Palestinian Christians speak for themselves. And according to them, the primary cause of the fleeing of the Arab Christians in Palestine aren’t their Muslim neighbours. Instead, they are being marginalized and their presence threatened by the Israeli occupation and policies. This gives rise to a serious problem to those Christians who buy into the belief that the State of Israel is a manifestation of the end time plans of God—why and how can God persecute Christians Himself…? Pretend that the problem doesn’t exist. Question the accuracy of the show and similar reports. Accuse these Arab Christians as being “out of touch” with God’s will. Consider their suffering as an undue but inevitable side effect for the more important issue—the security of the Jewish people. Re-consider the unchallenged support for the State of Israel. Hence, it’s no wonder why the Israeli government considered this show a grave concern, so much so as to call it a “hatchet job”—rarely the Palestinian narrative enters the mainstream media. Denial of visas to Christian workers. Refusal to recognize the legal status of churches. Missionary activities being monitored and sabotaged. Molestations and even terrorist attack. Spitting on priests, urinating and defecating on churches. Note: This blog entry has been translated and published in Traditional Chinese and Simplified Chinese on Christian Times. Also on Palestine Chronicle.